One of the most common goals among avid runners is to qualify for the Boston Marathon. Unlike most other marathon events, one cannot simply sign up for the Boston Marathon. Rather, you must run a qualifying time at another approved event in order to have your entry to Boston accepted. Because of this process, it is considered a great accomplishment in the running world to be able to participate in the most famous marathon in the world. Choosing your Boston Marathon qualifying run can be based on a number of different factors. You certainly want to pick a race that will give you a good chance of hitting the qualifying number for your age bracket, but you also want to run a memorable and enjoyable race as well. Most of the major city marathons across the country are Boston Marathon qualifiers, but some courses make reaching the target a little bit easier than others. Consider the marathons below as some of the best races to qualify for Boston. This marathon is an official Boston Marathon qualifying race and contains many sustained downhill stretches in the first 10 or so miles. While no marathon course is easy, these downhill sections might be the early push you need to record your best time and make it into Boston. Beyond the downhill parts of the course, the Steamtown Marathon is simply an enjoyable event with beautiful scenery and local charm. For an experience as close to Boston as possible, the Baystate Marathon is geographically near to the course in Boston. You will enjoy the New England charm and hospitality, along with course that propels many runners to their best ever times. Runners will also find that this race gives them a very good shot at qualifying for Boston. The October date for this marathon usually results in comfortably cool weather – perfect for running a great race and punching your ticket. According to Active.com, "More than 33 percent of runners at Baystate beat their age-graded times and earn an official number for Boston". You shouldn’t need any other reason to visit this marathon besides the fact that it is located in beautiful San Diego. Enjoy a trip to one of the prettiest places in the country and run a race that has produced many Boston Qualifiers over the years. 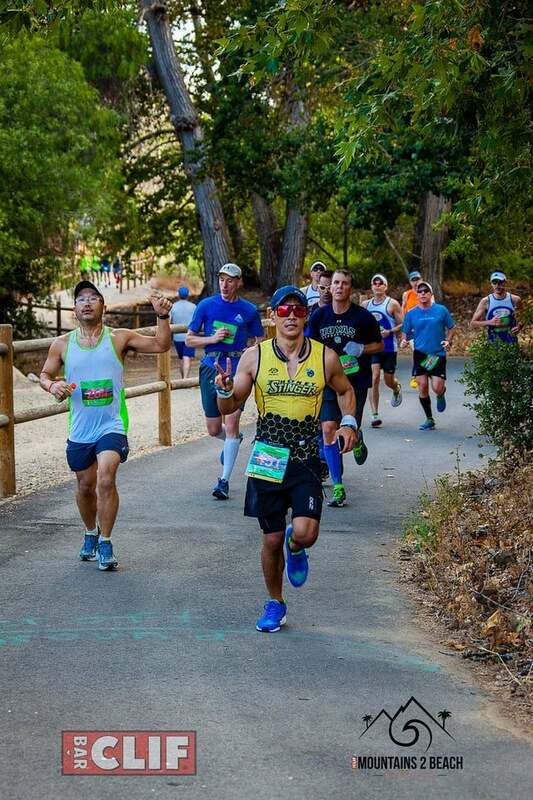 The Rock n’ Roll series of marathons have gained popularity in recent years as some of the most organized running events around, and this event in San Diego is no exception. This marathon has a ton of atmosphere and, as the name suggests, great live music! While the idea of a ‘mountain’ marathon might send you sprinting in the other direction, this race can offer you a great chance of hitting the Boston Marathon qualifying time. Since the race starts at elevation in the mountains and heads down the slopes, you should be able to turn in a great time and hopefully reach your goal. It's a net downhill race with many rolling hills, and a large number of finishers end up heading to Boston. According to that same source, when the race is held in May, typical temperatures and humidity are "slightly above the ideal range for optimal marathon performance"
There are a few advantages to running the Chicago Marathon as your qualifying race of choice. For one, it is a flat course that weaves around beautiful Chicago in the cool October weather. 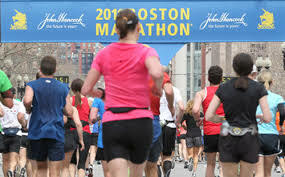 This race is popular among those who are running their first marathon as well as Boston hopefuls. Also, if you do qualify for Boston, the big-city experience that Chicago offers, with around 45,000 runners, will serve you well during your Boston adventure. The course is generally described as being "pancake flat"
​As its name suggests, this race was created to help runners qualify for the Boston Marathon. And if you've waited until the last minute to get organized, this race is also your last chance to secure your spot. 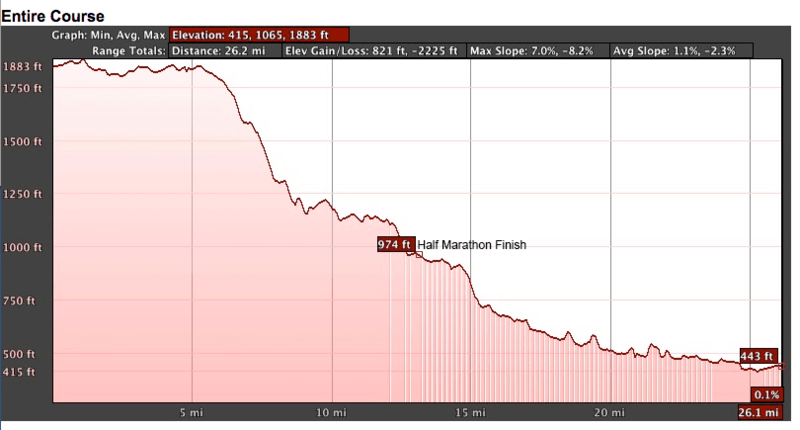 According to the official website, the "nearly pancake flat" course features 8 loops, scenic views and lots of shade, and was "specifically designed to get you to Boston". If that's not a sign of a great race, then we don't know what is. There are Boston Marathon registration kiosks at the finish line! ​This is a marathon known, and adored, for its many favorable characteristics: lots of aid stations, lots of shade, and lovely scenery, as runners loop around the beautiful Presque Isle State Park twice. Although spectators are few and far between, the highly enthusiastic volunteers manning very well-placed water stops (at almost every mile!) should more than make up for it. It's also an excellent option for qualifying for Boston, as it is one of the flattest courses in the entire country. This race, in Washington, starts off in a dark, unlit tunnel for the first three miles (better bring your head or chest lamp! ), but don't let that deter you. Once you come out on the other side, it's all downhill from there - literally! 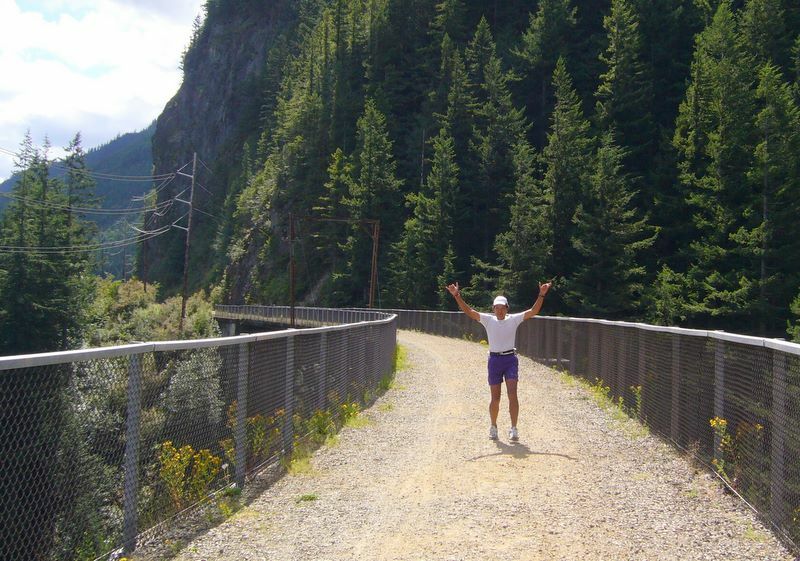 The gravel trail descends by more than 2000 feet over the next 23 miles. The decline is never too steep, it's more of a "consistent gentle downhill grade". The setting is also fantastically beautiful. These characteristics make it an excellent Boston qualifier. If you want to qualify for the Boston Marathon and run a race in an absolutely stunning setting, then the Sugarloaf Marathon is the race for you. It's a small event, with just 1600 people, but it attracts runners from all over North America. This is a very popular race for achieving personal records and qualifying for Boston, as the course is almost entirely downhill, with the final 16 miles offering a descent. This marathon offers stunning views of the Ventura River Basin, the Ventura Promenade, and the Ventura coastline. The course has just one "real" hill, in the first five miles, and a net downhill of more than 700 feet, according to the official website. Most of it extends over a bike path, which has a gradual downhill grade. It has a reputation for being a fast course, which makes it the perfect event if you want to qualify for Boston. The ten marathons above are some of the best races to qualify for Boston in all of the country. However, any sanctioned race can work for your qualifying time if you are able to put in the needed training and run a smart race. ​There are many aspects to consider when picking a marathon, from the time of year and expected weather to the the elevation profile. And it's also important to pick a course with a style that you're used to running. In short, choose a marathon that fits your strengths and is held in a location that you will be comfortable with. Stay focused on your goal and you will be in Boston before you know it! emma! congratulations! i think we misesd seeing you go over the bridge by, like, one minute. or maybe you ran by and i didn’t recognize you because you were running like a champion. but good job!!! it was so inspiring to be on the bridge with everyone cheering. i wasn’t expecting that. my mom wants us both to do the half next year. it’s perfect because then i can get super skinny before my wedding, bahah! anyways, good job, now it’s time to celebrate and throw back some g+t’s at the depot? one of these days? So good to search out any individual with some authentic thoughts on this subject. realy thank you for beginning this up. this website is one thing that’s wanted on the web, someone with slightly originality. useful job for bringing one thing new to the web!